ALLEGRA BOVERMAN/Staff photo. Gloucester Daily Times. 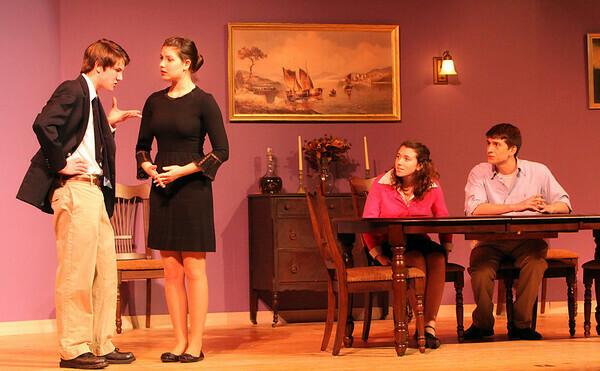 Rockport: The "Dining Room," by A. R. Gurney, will be performed on Thursday, December 8th at 7:30, Friday, December 9 at 7:30 p.m. and Saturday, Dec. 10 at 7:30 p.m. at John Lane Auditorium at 24 Jerden’s Lane. From left are: Sam Cunningham, Rachel Sternlicht, Sarah Bisnick and David Fox.